The cost of building a pool can be a difficult topic to generalize on because each pool presents unique issues in terms of designing and building. 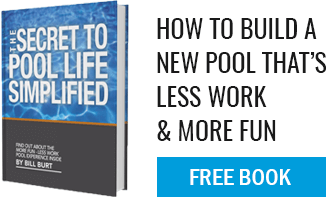 At Aqua Pool, we specialize in inground gunite pools for homeowners in Southern New England. The typical price for our services begin in the high $20,000 and increases dependent upon features. Recently we’ve executed small pools with numerous add-ons for $75,000 and have finished several larger projects around the $100,000 to $250,000 price point. The majority of our projects fall within the $35,000 to $65,000 range. For our process, we like to start with the size and shape of the potential pool to project a cost for material decided by a pool’s area and perimeter. We have a team of pool designers that are happy to come to your home to evaluate your site, listen to your needs, and design a pool for you without obligation or charge. Once we know more information about your individual situation, we can aid you in the process of contract agreement, permitting, and excavation. Our main goal at Aqua Pool is to provide our customers with a beautiful pool that fits their budget. We offer a range of customized pool features in an a la carte fashion that enables you to create and build the perfect backyard swimming pool. Get the conversation started today to build your pool!